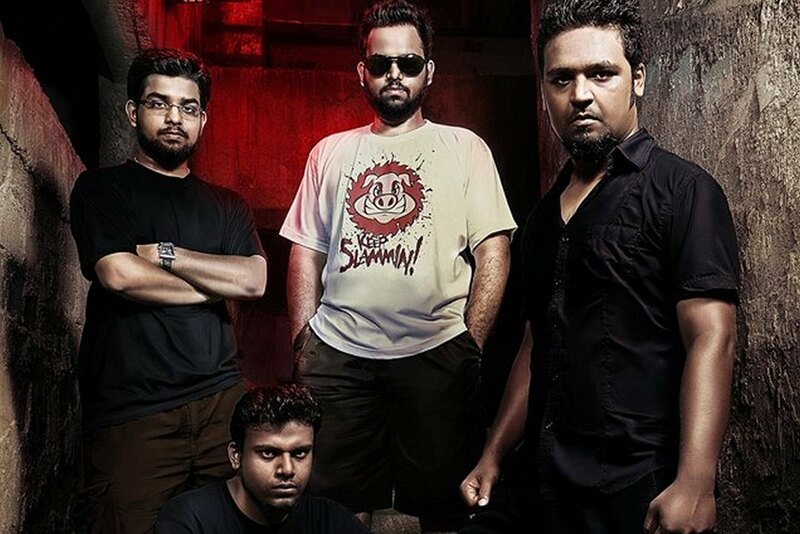 The Indian death metal group Wired Anxiety are in the spotlight for this week’s Meet The Band, which gives you the chance to get to know a new or up-and-coming band. They just released the EP The Delirium Of Negation. Guitarist Naval Katoc introduces us to Wired Anxiety. Chad Bowar: Give us a brief history of Wired Anxiety. them and eventually playing across various cities in India. Over the years our sound evolved, making us sound what we are today. Tomorrow we may just sound totally different. There were lineup changes, but the current lineup has been around since 2012. Describe the songwriting and recording process of The Delirium Of Negation. The first song from our second EP was written back in 2012. As you can see, we are really slow as far as composing is concerned as we are all involved in day jobs and not full time musicians. Delirium of Negation was recorded by Ashwin from Demonic Resurrection at Mindmap Studios, Mumbai and mixed/mastered by Arkady Navaho at Navaho Studios in Russia. He has also recorded bands like Katalepsy, 7 H.Target etc. The artwork is done by Coki Greenway (Indonesia) of Aborted, Devourment, etc. fame. We are a blend of brutal, slam, groove and death which our vocalist aptly calls “Fearless Metal.” We will be exploring more sounds in our next release. The songwriting will start in early 2017. What has been your most memorable Wired Anxiety live show? We have played across some great venues in Mumbai and also had some good times touring, but our most memorable shows will always be the ones played at New Bombay or Navi Mumbai. Marine Center is an epic underground venue for bands and we have played some killer sets to our homies back there. The feeling is different. The spirit of metal is high there. None as of now. We are in different countries. That’s a tough question. Let us say that we grew up listening to Pantera, Metallica, Maiden, Korn, Slipknot, etc., took musical inspiration from Cannibal Corpse, Devourment, Dying Fetus, etc. and lyrical inspiration from movies, life events and original thought process. The band names are just few out of many but you get the idea. Well we love hanging out and going out on food quests, watch movies, going on holidays to other cities, road trips etc. The list goes on and it is fun to be together like a family. There is a lot of food involved with Wired Anxiety. One of the most interesting parts about Mumbai is that it has a very versatile heavy music scene. You’ll find bands that play really classic old school stuff to genre blending modern sounding stuff and the crowds for all those bands are pretty much the same. So there’s something for everyone in Mumbai.